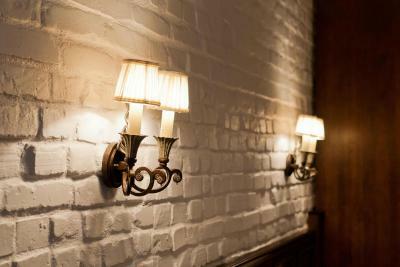 Lock in a great price for Tradition Hotel – rated 9.2 by recent guests! 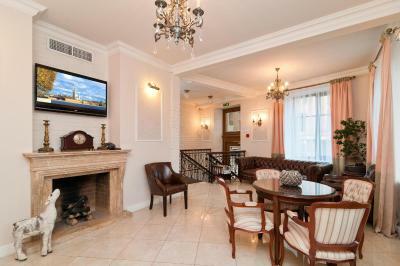 Great location, with a view overlooking the winter palace across the river. Out of two receptions, one was very distant but the other helped me find my way to the train station. Breakfast is basic but tasty. Location is perfect. Staff is good. Room is clean and in design style. 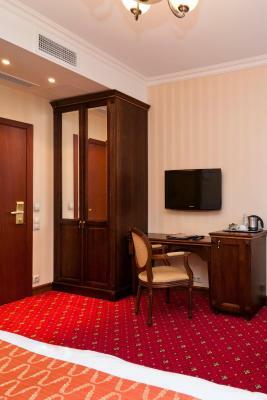 The hotel room is really stylish, spacious and clean. The staff is very friendly and helpful. 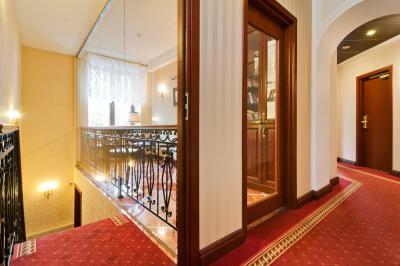 The location is great, just few steps away from bus and tram stops. Good and quiet location, close to attractions. 15 minutes walk to subway. Checked me in at 9 am, no questions asked. Great value for money. Good breakfast. Cosy guesthouse feeling. Good amenities. Shower booth not leaking as it does almost everywhere else. Warm floors in the bathroom. Will definitely stay again. Thank you, Tradition. 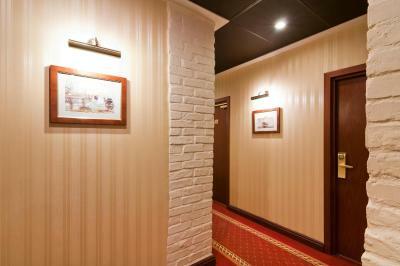 The hotel is very clean with friendly staffs and in a convenient location. 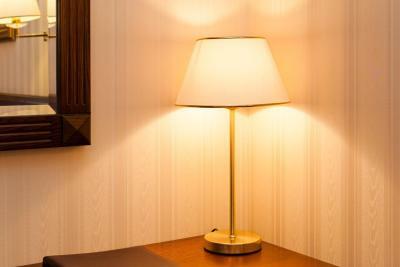 It has a perfect position and comfortable service. Расположение - рядом петропавловская крепость, через мост центр. В целом удобно. Завтрак для питера - отличный. 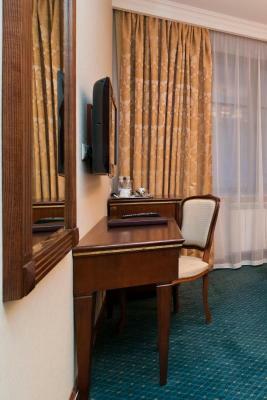 Just 0.6 mi from the Palace Bridge and the Hermitage Museum, Tradition Hotel is conveniently located close to Saint Petersburg’s main attractions. 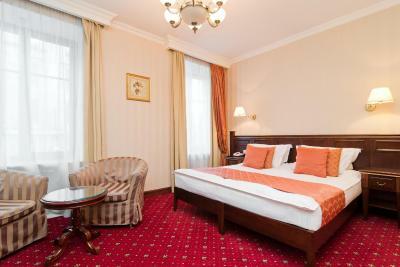 It offers charming rooms with flat-screen TVs and free WiFi. Guest rooms include satellite TV, tea/coffee making facilities and private bathrooms with slippers, free toiletries, bathrobes and hairdryer. 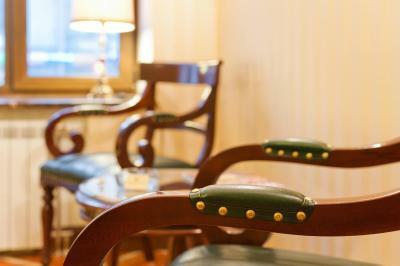 Some rooms have extra living space, providing comfortable arm chairs and a coffee table. 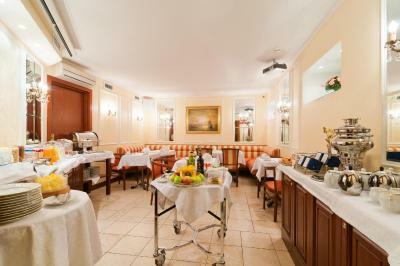 The hotel staff is happy to make reservations for dinner at a variety of local restaurants. 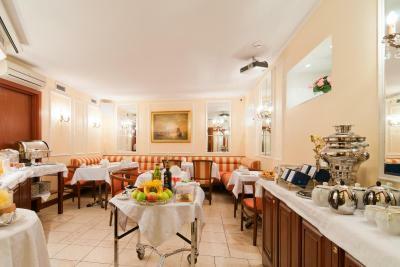 Guests can enjoy breakfast in the privacy of their rooms or in the hotel's café. There is a tour desk with ticket service on site. 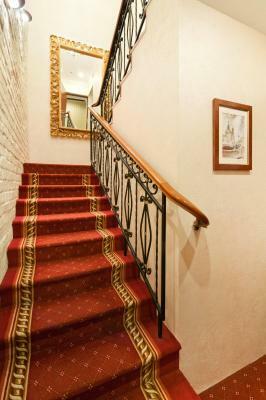 Tradition Hotel is 650 feet from a trolleybus stop and a 15-minute walk from Sportivnaya Metro Station. 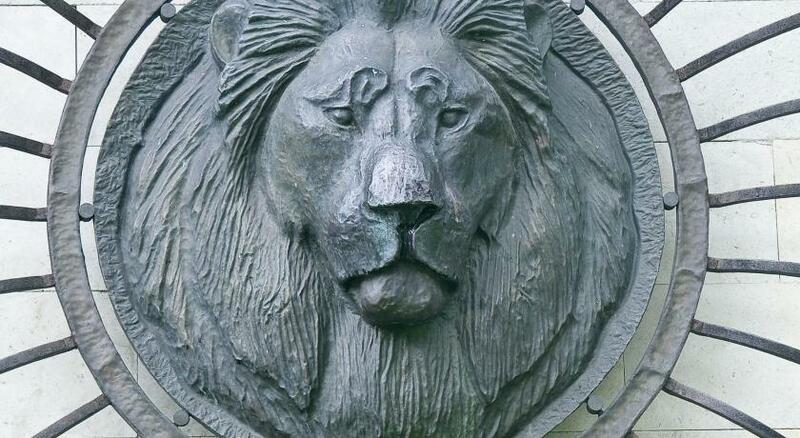 The Palace Square and the Nevsky Prospekt are also within walking distance. 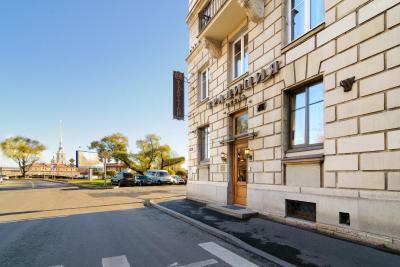 Petrogradskiy is a great choice for travelers interested in riverside walks, ambiance and city walks. 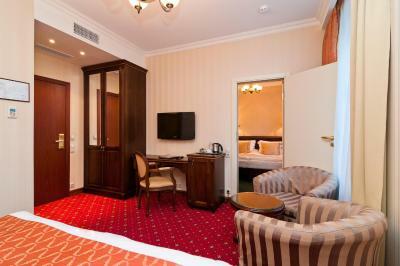 When would you like to stay at Tradition Hotel? Comfortable rooms with living area, entrance lobby and private bathroom with slippers, free toiletries, bathrobes and hairdryer. Public parking is available on site (reservation is needed) and costs RUB 300 per day. 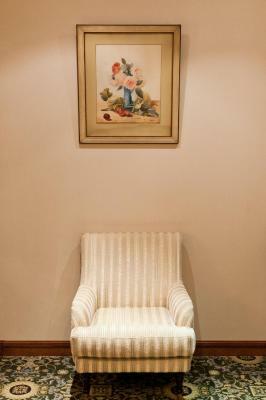 Offers more space and 2 armchairs. 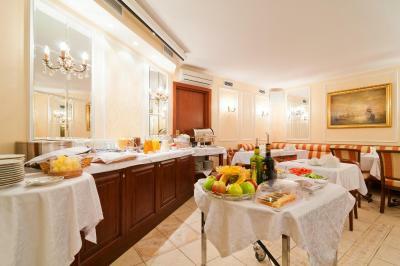 Offers a bathrobe, toiletries and more space. No extra beds are available for this room category. Offers more space, a bathrobe and toiletries and a living room with large windows and a sofa. 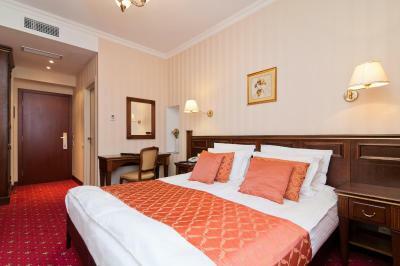 Offering additional space and a street view, this room consists of a standard room and a superior room with connecting door. 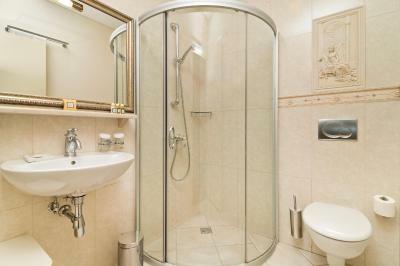 The private bathroom comes with slippers, free toiletries, bathrobes and hairdryer. This air-conditioned room features a flat-screen TV. 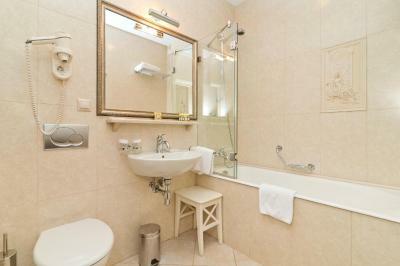 The bathroom comes with a hairdryer, slippers, bathrobes and free toiletries. 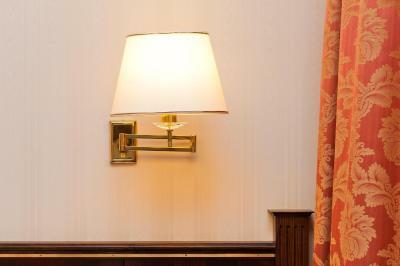 Please note that room type preference cannot be guaranteed as it will be allocated upon arrival based on availability. - Free laundry and ironing service. Hotel surroundings – This neighborhood is a great choice for travelers interested in riverside walks, ambiance and city walks – Check location Excellent location – show map Guests loved walking around the neighborhood! House Rules Tradition Hotel takes special requests – add in the next step! All children under 12 years are charged RUB 2500 per night for extra beds. Tradition Hotel accepts these cards and reserves the right to temporarily hold an amount prior to arrival. Please note that the hotel charges extra 2% fee for the use of American Express credit cards. Visa support for foreigners is 500 RUB per person. The hotel is not able to accommodate foreigners arriving by ferry for 72 hours maximum without visa. My room (105) was tiny - I mean tiny enough that I couldn’t move around without bumping into my travelling partner. The bathroom was tiny, with very basic facilities, and everything felt crowded and stuffy. Our window gave onto the street and we could hear traffic (including trams) all through the night. It’s a good hotel for the money, but the pictures really do oversell it, and we really thought that it was more deserving of 3 stars than 4 stars. The drainage of the bathtub is not good. There's always a lot of water not going out during the shower. The crew was very friendly and extreme helpful. Not really a hotel it's one or two floors of a building. Wifi was weak in my room.